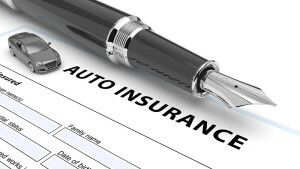 Know what to do with your auto insurance after a divorce. With emotions running high, all the legalese, and mountains of paperwork, a divorce is anything but easy. You must untwine one life into two, and it can be messy. Simplify part of the process with these auto insurance tips. They can help guide you through the steps you need to take to separate your auto insurance policies after a divorce. Both parties can’t keep the policy. You must decide who keeps the policy and who gets a new one. If you keep the policy, then you need to take action to remove a driver (and/or car) from your policy. If you’re not keeping the policy, then you need to shop for a new policy. Weigh all your options and in either case, remember to keep your new financial situation in mind. After a split, you likely won’t qualify for the same discounts that you had when you were married. Know that your discounts will be changing and that you may now qualify for new discounts. Talk to your agent to find new ways to save. After a divorce, you may be moving to a new address. Whether it’s out of state or just down the block, you need to update your auto insurance policy. Do keep in mind that your new address will likely affect your premium. If your kids are driving or on the brink of getting their learners’ permits, they need insurance coverage. Look into how you must arrange insurance coverage. If you have custody, you will have to add your kids onto your policy. If you have joint custody, it depends on wherever the car spends the most time. Get the right auto insurance after the divorce. Contact the professionals at Robert J. Los Insurance Agency to find you the right insurance. Located in Hamburg, New York, we serve all your personal and commercial insurance needs.